The trailer and first song of Golmaal Again has received abundance and overwhelming love from the audience and media. They showed their excitement during the trailer launch and have not stopped showering the team with love since then. @BeingSalmanKhan recently tweeted a picture of the entire Golmaal Again team. 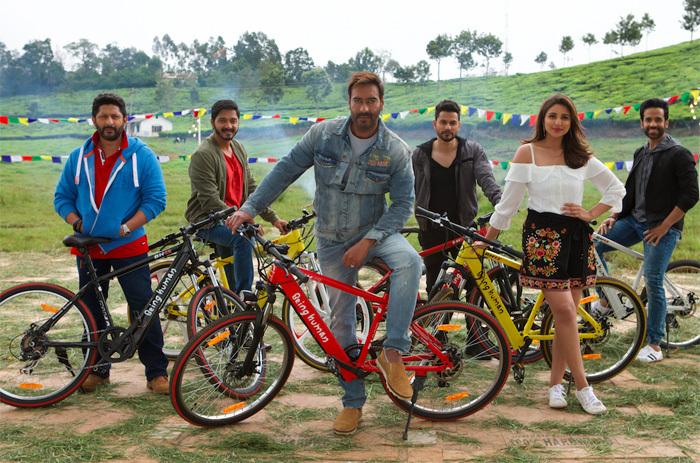 For the shooting of a scene in the upcoming song ‘Maine tujhko dekha’, Salman Khan showed his love and support by giving them his Being Human cycles to shoot with. The song will be out tomorrow.